Height: 104 cm / 41 in. Materials: papier-mache, foam plastic, foam rubber, wood, metal wire, fabric, plastic, glass furniture. 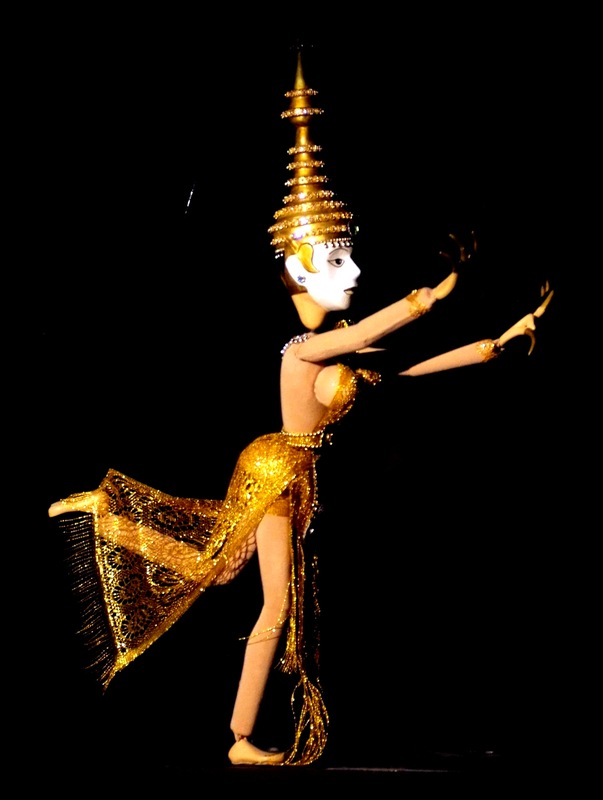 This vignette is a slow ancient Thai dance with stops in the most beautiful poses. This dance is several thousands years old. Puppet hands torn on 180o. See PHOTO ALBUM of THAI DANCE.